NIA CHARLESTOWN NEVIS (MARCH 15, 2016) — As the Federation prepares to welcome another crop of mangoes, agroprocessors and other stakeholders in the agriculture industry benefited from training in value addition of the fruit spearheaded by the Inter-American Institute for Cooperation on Agriculture (IICA). 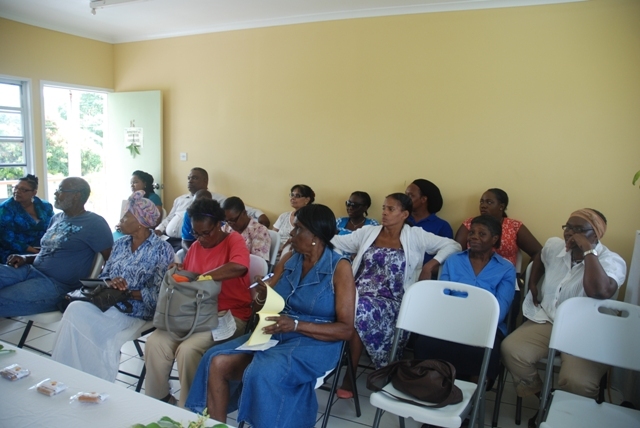 The workshop was held in partnership with the Departments of Agriculture in St Kitts and in Nevis. A two-day training was held in St. Kitts on February 16-17, 2016, and a similar exercise was held in Nevis on February 18-19, 2016. The training focused primarily on the preparation of drinks, pure mango and various combinations, some of which were on display at the close of the workshop. In a brief opening ceremony at the Nevis workshop, Mr. Augustine Merchant, IICA representative for St Kitts and Nevis, noted the importance of preparing mango products in a hygienic manner. He indicated that IICA was pleased to spearhead the training workshop. Permanent Secretary in the Ministry of Agriculture on Nevis Mr. Eric Evelyn used the opportunity to endorse the activity. He said the training came at an opportune time when the ministry was preparing for the 22nd Agriculture Open Day on March 17-18, the annual Fruit Festival and to partner with the Nevis Tourism Authority to host the Mango Madness Street Fair. The festival and the fair will take place in July during the peak of the mango season. Participants registered their satisfaction for the initiative and the facilitator and indicated that they had benefited from the training exercise. They also noted that the public can look forward to a number of new mango products during activities organized by the Department of Agriculture. The training exercise was facilitated by Dr. Don Mercer, a professor at University of Guelph in Canada. Practical sessions were held at the Department of Agriculture’s Agro Processing Centre. 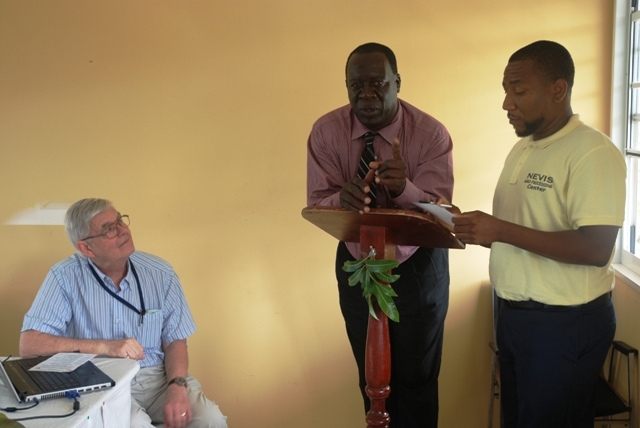 Dr. Mercer facilitated a similar training programme in October 2015, in St. Kitts. 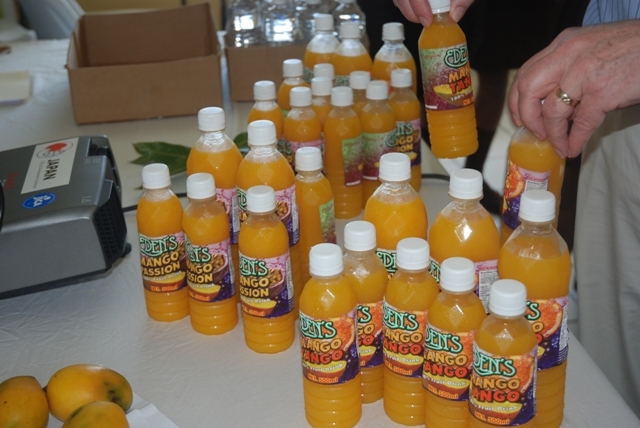 The focus was on other by-products that can be produced from mangoes.